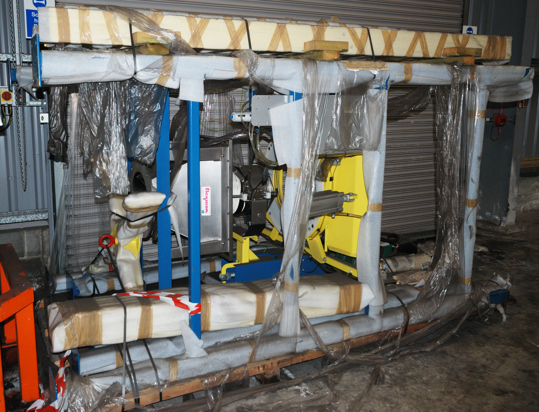 Flexicon Bulk bag discharge unit with 1250 kg pneumatic hoist with lifting frame. Power Cincher bulk bag flow control device. 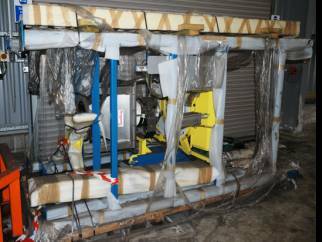 Manul Flow Flexer bulk bag agitation device. Tele-Tube telescopic tube bulk bag interface. Type "D" floor hopper with 12" ANSI 150# outlet flange. Dietrich Engineering Consultants SA Pump body Type TB 200-P in stainless steel 316L. Max capacity 3000 l/h with DN 200 tubular membrane in PTFE/polyester. Unit includes ball and butterfly valves and control panel. Suction hopper with delumper in 316L stainless steel. 2 off Busch Type RA 0205D5EC2ZXX 5.5 kW Rotary vane vacuum pump with 200 m3/h capacity at 0.1mbar. ATEX rated .